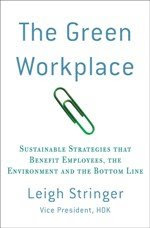 The Green Workplace: Greenopolis: Social Networking at its Greenest? There is a new social networking site called Greenopolis. It's all about sharing green ideas with a network of people focused on green issues. I didn't realize that "niche social networking" was in, but its a natural progression... like minded groups are bound to want to find each other more easily online. A good portion of the site is educational, but there are also media content from The Green Broadcast System (GBS) stated to be the"premier collection of sustainability-related news, video, and podcasts." The Galleria features green products and books. There is a eGreenU section for schools to collect education materials, there are blogs, events, polls, forums, groups... the list goes on and on. As part of your profile you can answer a series of questions that determine your "badge level." Clearly I am way behind the times because I was labeled a "Green Newbie." Actually a little embarrassing! But I guess the point of the badge is to try and improve your score through behavioral changes, such as not using 6-10 consumer products like I do to fix my hair and makeup in the morning.